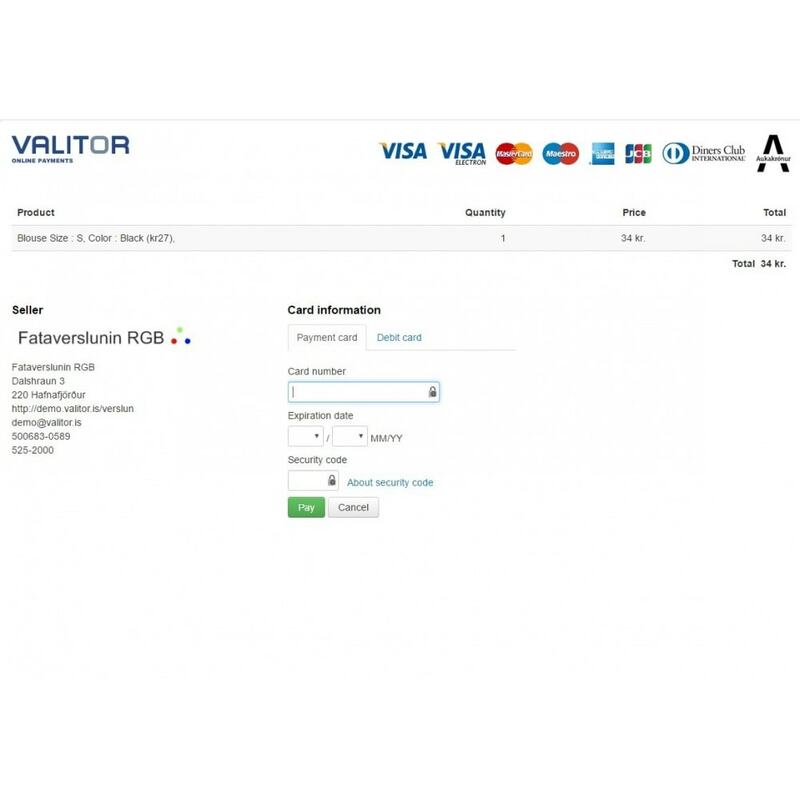 Our Valitor Web Payments module integrates your Prestashop store with the Valitor payment gateway. 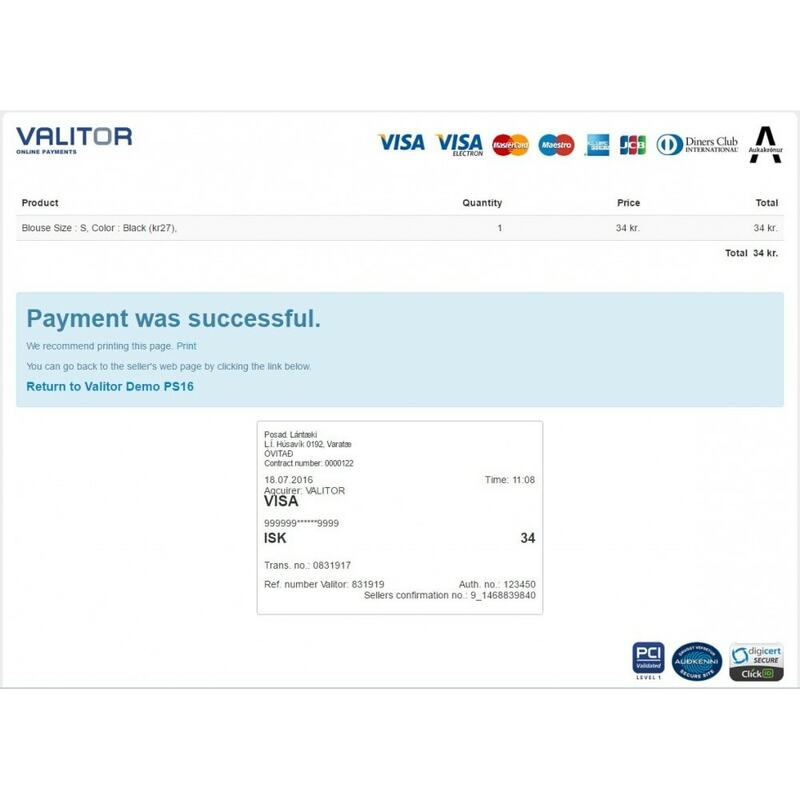 Valitor is Visa's and Mastercard's partner in Iceland and an online and e-commerce payment solutions company that operates internationally, offering services to partners, merchants, banks, and cardholders around the world. Securely accept Credit Card payments from customers during the checkout process. 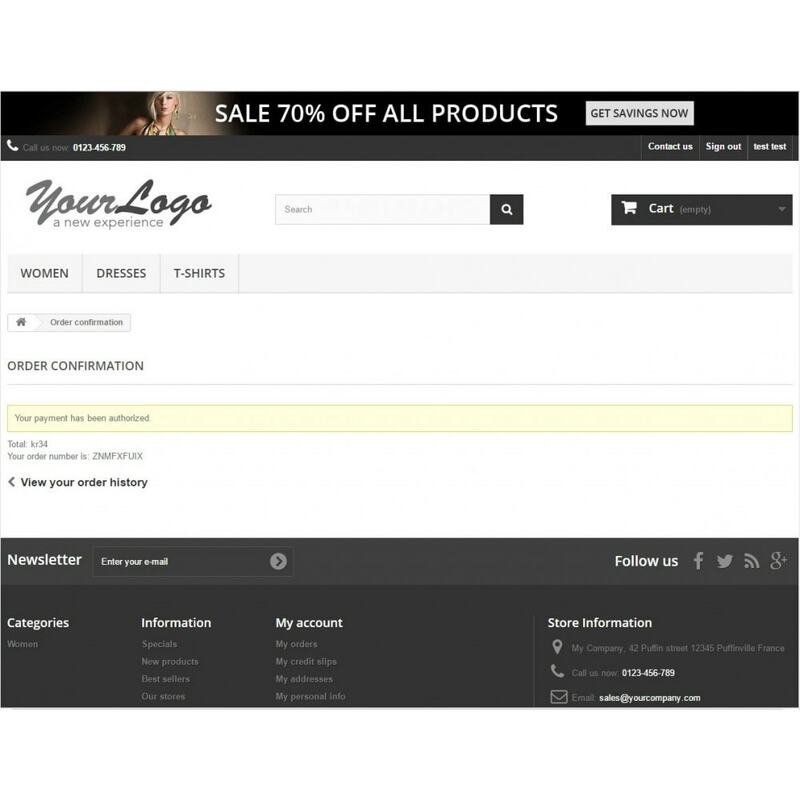 The customer is redirected to the Valitor Payment Page to submit their payment, and is returned to your store to complete the transaction. 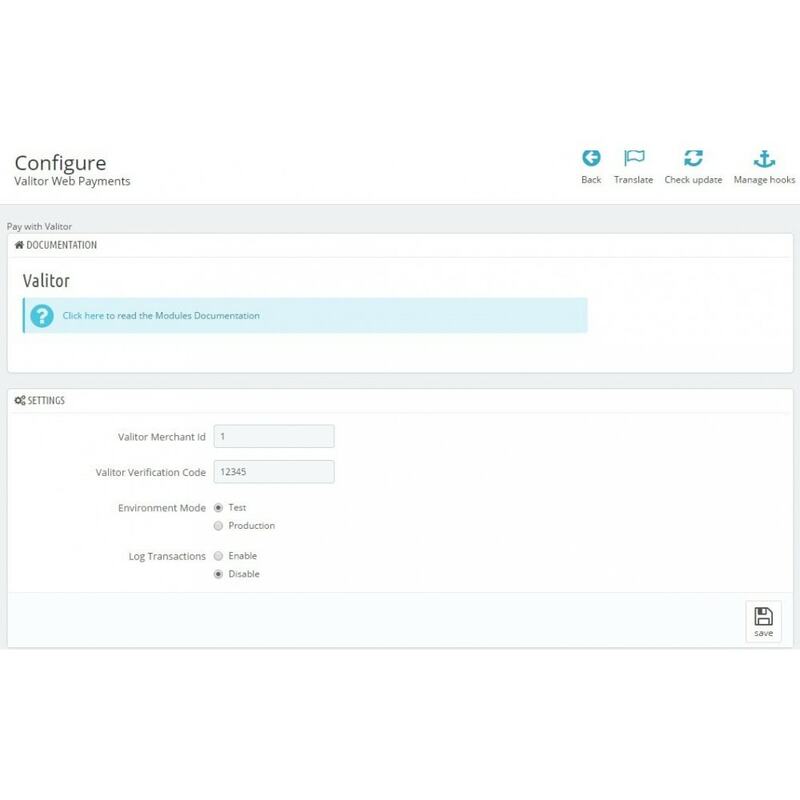 The Valitor payment gateway notifies the payment module of transaction status using an IPN notification, which means an Order will be created even if the Customer accidentally closes their browser window. 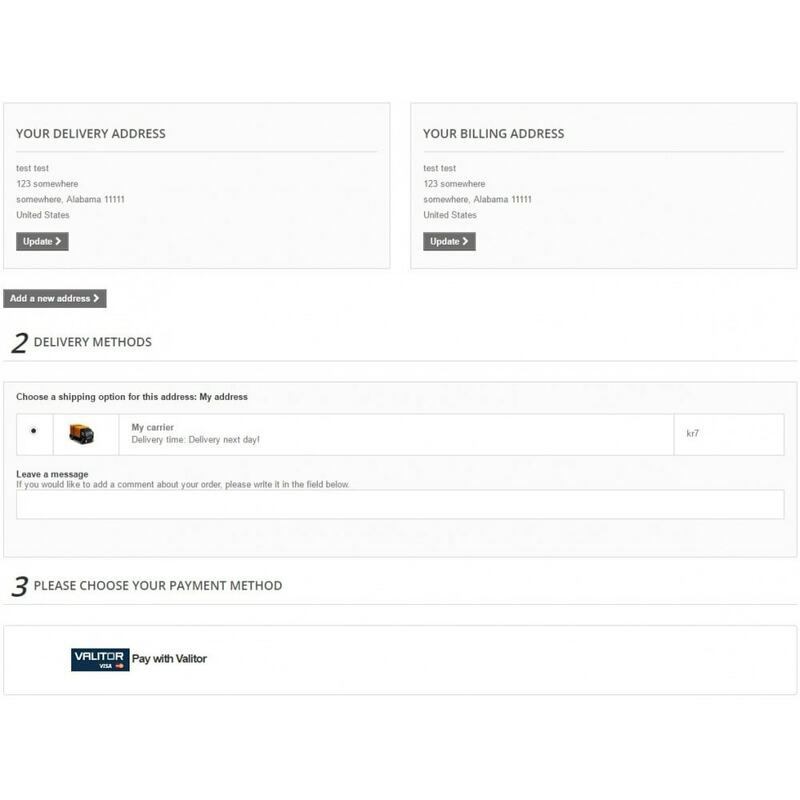 In order to use this module, you must open a merchant account with Valitor. For more information on the Valitor solution, or to signup for their service, please visit their website. You may use standard module installation procedures to install the module. Once the module is installed on your Prestashop store, you must add your Merchant account information using the modules configuration page.